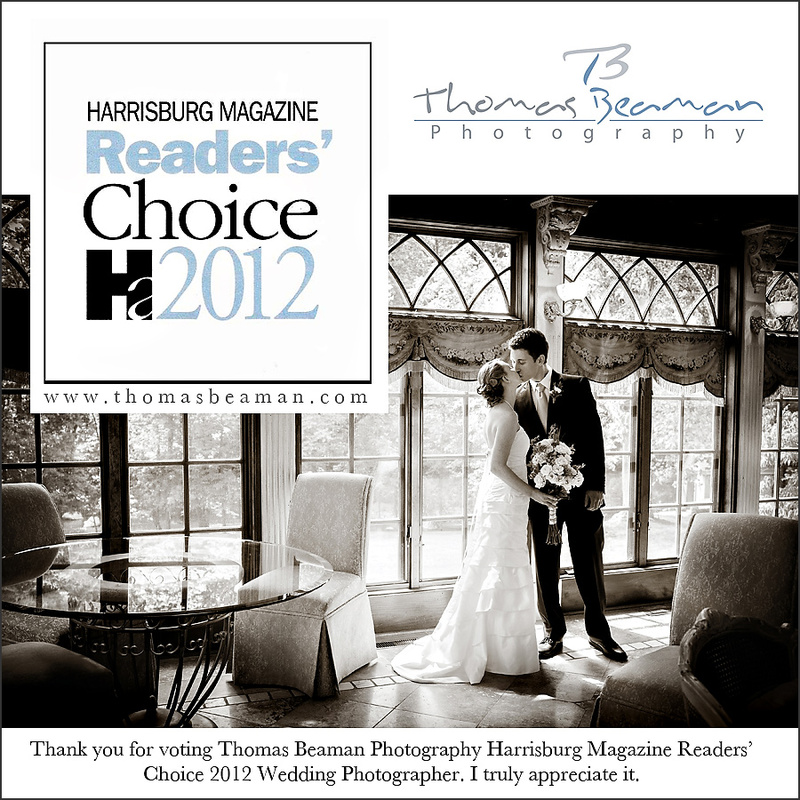 Thank you so much for voting Thomas Beaman Photography Harrisburg Magazine Readers’ Choice 2012 Wedding Photographer. I know there are a ton of great photographers in Central PA so I truly consider it an honor to be picked. Thank you once again. Way to go Thomas!!!! You deserve it!